It's great to see this fabulous arts venue re-open its doors after a stunning refurbishment. Boasting a colourful history, the Roundhouse initially started life as an engine shed. It was later transformed into a bonded warehouse for Gilbey's Gin before Arnold Wesker the playwright came along in 1964 and established Centre 42 here, insisting it became one of the most cutting-edge performing arts venue in the country. Jimi Hendrix and Pink Floyd played several memorable concerts there and it is these performances that have sealed the Roundhouse's legendary reputation. London seems to hold a fondness for her curvaceous walls - the blend of industrial past and Victorian grandeur means it grabs your attention on the way down Chalk Farm Road. By the 1980s it was a crumbling wreck of its former self and it has taken £27 million to buff it up so to speak. A shiny, angular, glass three-storey extension has been attached to the original, windowless, dark-grey drum. As many as 4,000 people can now cram into the building at once, as many as the National Theatre. Underneath the auditorium, hidden among a labyrinth of rooms and corridors, are a raft of recording studios, edit suites, television studios and rehearsal spaces. Referred to as the Roundhouse studios, this area is exclusively for young people aged 13-25. Tickets for main performances here can be a little steep but you can rest assured that you're supporting one of the best artistic initiatives in north London. What are the best dining options near Roundhouse London? Roundhouse gyms, sporting activities, health & beauty and fitness. The best pubs near London Roundhouse. Roundhouse clubs, bars, cabaret nights, casinos and interesting nightlife. 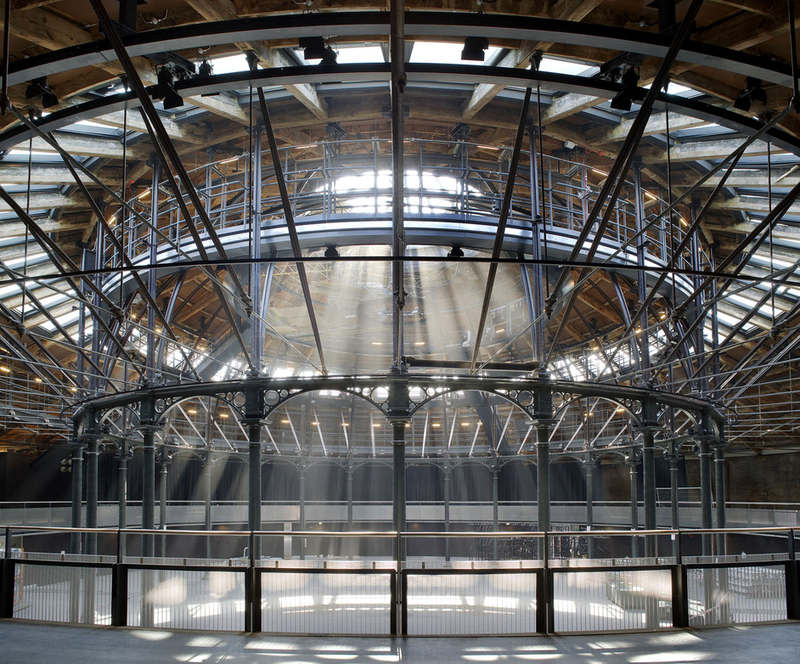 Where to have your meeting, conference, exhibition, private dining or training course near Roundhouse. From cheap budget places to stay to luxury 5 star suites see our discounts for Roundhouse hotels, including ibis London Euston St Pancras from 0% off.